Hey there and good morning. I'm really excited to finally be able to share this page! 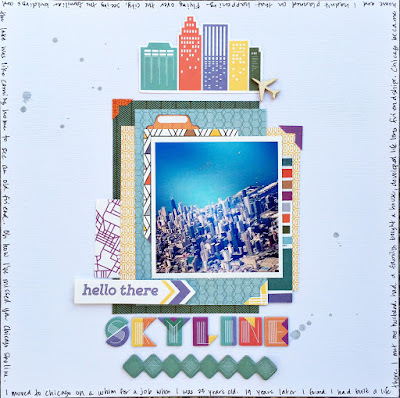 It's part of today's Get It Scrapped article, using Geometric finds in scrapbook pages. These fonts are becoming more popular, but can be challenging to use. I used an Art Deco style font. I edited the photo with a vintage filter. The two styles complement each other. This font is bold and can draw a lot of attention. I chose to work it in to the design of the page as an embellishment so It is visible, but not overwhelming, I liked the idea of a vertical band design. It's a literal interpretation of the city skyline. 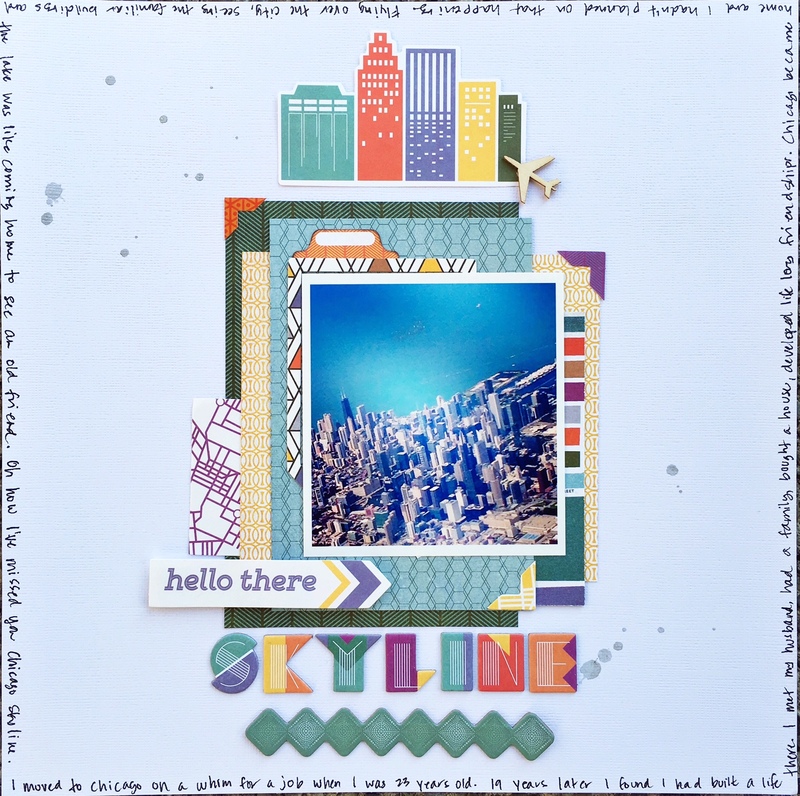 Using the building die cut at the top of the page also alludes to this. The border under the title grounds the page. This photo represents the love I have for Chicago, my adopted city. The story is about my life while living there nearly 20 years, after moving there on a whim. I took this from the plane flying in to the airport for a short layover. I was struck by its familiarity, and all my memories. Thanks for stopping by my creative view today. I know it's been quiet around here. Stop back again soon, I will have new projects to share.